I am an eyebrow fan, love to shape my arches with powder, pencils, gels using my hand or stencils. This is a new hybrid powder and brush duo, a two-in-one make-up tool. Where you dip the soft angled brush into the cap and in a few strokes you easily shape and fill in your brows. My new makeup brow gadget to have and to hold, yours too. The new brow tool comes in an extensive array of natural shades to match various skin tones and hair color. 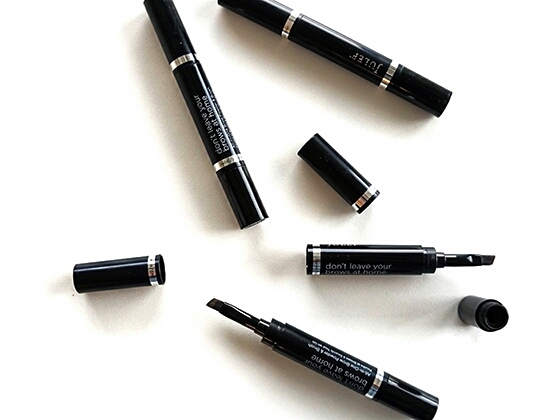 Here’s Julep’s blog post link with a handy Brow color chart to find your perfect match.